Quick bread refers to breads that require minimal preparation time, are made from batter more often than from dough, and are leavened with chemical agents, such as baking soda or baking powder, instead of yeast or natural starters. The chemical leavening agents react quickly when combined with liquid ingredients, causing the batter or dough to begin rising immediately, so for many quick bread recipes, the wet and dry ingredients are mixed separately and then combined just before baking. The batter for some quick breads is often thin enough to be poured into loaf pans, muffin tins, or other molds for shaping the final result, while the ingredients for other quick breads form a more dough-like consistency, requiring a short kneading time before baking. Description: A type of quick bread leavened with baking powder and baking soda that is used as a tea bread or dessert bread. The applesauce provides the bread with flavor and moistness. Other flavoring ingredients include brown sugar, cinnamon, nutmeg, raisins or currants, and nuts. 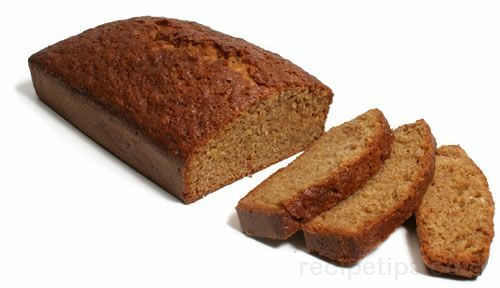 Description: A type of quick bread that is very similar to Boston brown bread except that it is baked rather than steamed. Description: Banana bread is a quick bread made from mashed bananas mixed with eggs, flour, sugar, lemon juice, shortening, and baking powder. It is also considered to be a sweet bread with nuts or raisins mixed into the ingredients to enhance the flavor. 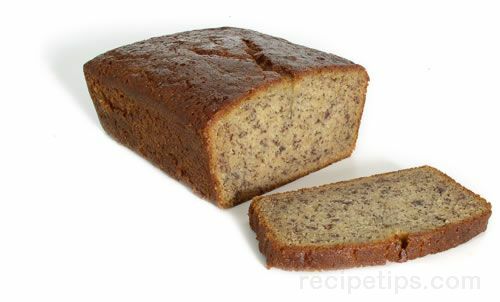 Banana bread is a very popular coffee or tea bread in the United States. Description: A Scottish bread that was traditionally an unleavened flat bread made with barley or oatmeal, but is today considered a quick bread since most bannocks are now leavened with baking powder or baking soda. The dough is prepared in a round, flat shape, which is scored into quarters. It is cooked on a griddle where it is allowed to heat slowly until fully cooked in the center. A bannock usually requires about 10 minutes cooking time per side. Bannocks are served warm and when the quarter sections of a whole bannock are separated, they are much like a scone in size and texture. 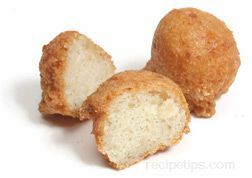 Description: In the United States, a biscuit is a type of circular, flaky quick bread that is made into individual pieces about 3 inches in diameter and 1 to 2 inches thick. A biscuit has a rich, buttery taste and can be served plain as a substitute for bread or rolls, topped with jam or preserves, or it can be covered with various meat sauces and served as an entree. Biscuits are also referred to as a baking powder biscuits because the dough is usually leavened with baking powder. Biscuits are especially popular in the Southern United States. In England, biscuit is the generic name for what is known as a cookie in the United States. 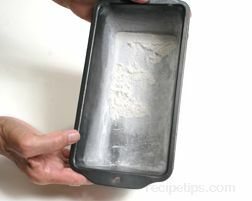 Type of flour used: a combination of cornmeal, white flour (wheat), and rye. 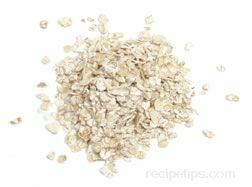 Some recipes omit rye flour and may call for whole-wheat flour or even cake flour. 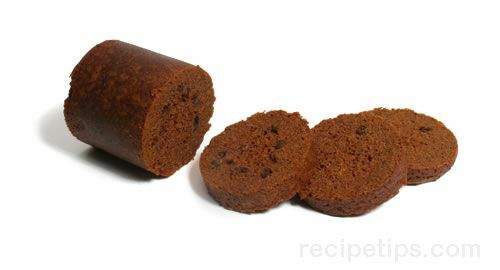 Description: an unusual quick bread flavored with molasses that was developed from the necessity of early New England settlers to make a hearty bread using their limited resources. The combination of flours was a means to stretch the limited supply of wheat flour (corn and rye were more plentiful). Some of the colonial settlers did not have access to an oven so steaming became the preferred cooking method, although steaming the bread required more time than baking. Today, Boston brown bread is still cooked with steam. The dough is usually cooked in heatproof containers placed inside a large covered pot of boiling water. Cylindrical metal or glass containers are used as molds with coffee cans being used perhaps more often than any other type of mold. After the bread is cooked, it is slid out of the mold and served warm, often as an accompaniment to Boston baked beans. Many commercial varieties are available, which are often packaged in a can. Description: There are many types of bread made from corn flour that are popular in many parts of the world, but when referring to cornbread in the United States, it is generally regarded as a quick bread made with cornmeal instead of flour. 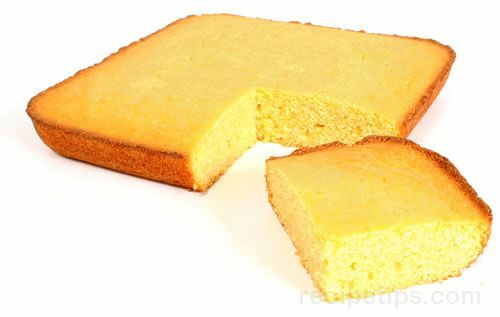 Cornbread has a golden yellow color and a distinctive corn flavor and depending on the recipe, it is most often baked in a shallow pan in the oven or in a skillet on the stovetop. Description: A type of quick bread flavored with orange zest, orange juice, and chopped cranberries. The cranberries provide a tangy, refreshing flavor. 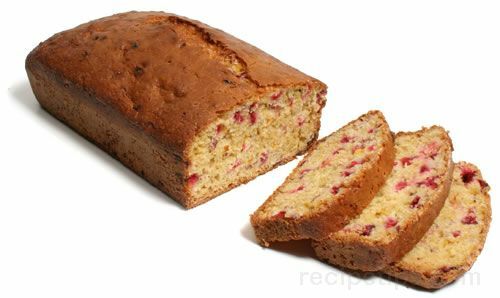 As with many quick breads, there are numerous recipes for cranberry orange bread, which is excellent as a dessert or tea bread and is also a favorite for breakfast. Description: A traditional Irish bread that is usually prepared using only flour, buttermilk, and baking soda, although there are a variety of recipes calling for additional ingredients, such eggs, butter, sugar, or honey. 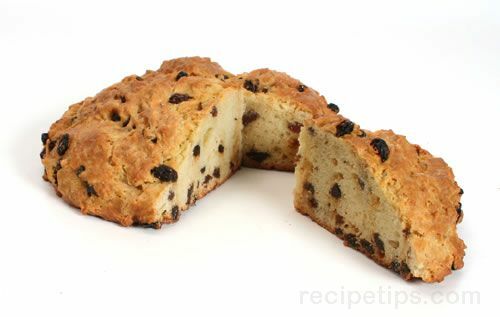 Adding raisins and nuts to soda bread changes the recipe into what is called a Spotted Dog or fruit bread. Irish soda bread is often formed into a rounded loaf and scored with a cross on the top prior to baking. The bread can then be broken into quarters known as farls when the bread is served. Irish soda bread has the best flavor and texture on the day it is prepared, so it is best to consume it shortly after being baked. 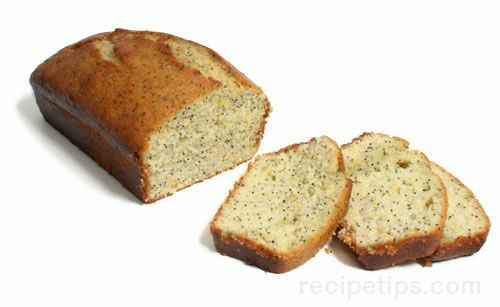 Description: A popular quick bread in Britain and the United States that is usually flavored with lemon zest or lemon extract to provide a distinct lemon flavor. There are a wide range of recipes for lemon bread. Some call for cake flour to be used and others call for all-purpose flour. Some recipes include nuts, such as walnuts, while others may include poppy seeds. Lemon bread is a favorite for serving with tea or coffee or as a dessert item. Description: A type of quick bread flavored with the Asian fruit, loquat. 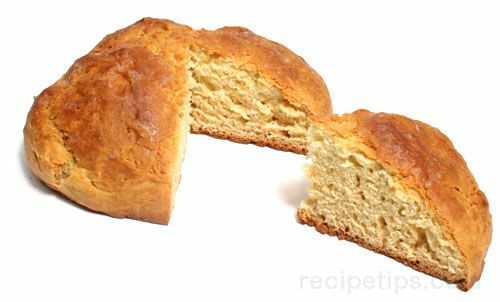 It is not a commonly prepared quick bread in the United States. There are many variations in the ingredients used in making loquat bread. Some recipes call for nuts while others may include other fruits to complement the sweet, mildly tart flavor of the loquat. Like many types of quick breads incorporating fruit, loquat bread is an excellent breakfast or afternoon tea bread. Description: A smaller version of a quick bread in which the batter is baked in a muffin cup and/or muffin tin rather than a larger loaf pan or baking dish, providing an individual serving. 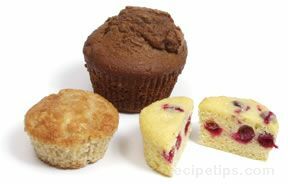 Muffins are more often made sweet rather than savory. Fruits, nuts, and seeds are typical ingredients used to flavor the bread. 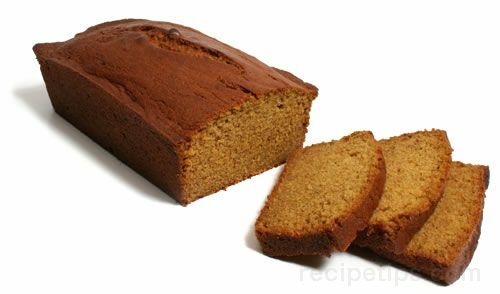 Description: A sweet quick bread flavored with pumpkin and a variety of spices including, cinnamon, nutmeg, and cloves. There are many recipes and variations for this popular bread. Many variations include chopped nuts and/or dried fruits, such as raisins. Pumpkin bread is served as a dessert bread or as an accompaniment for a meal. Description: A popular quick bread in the United States, especially in New England and the upper Midwest where rhubarb seems to be in every garden. Since it is one of the first vegetable/fruit crops of the spring in northern climates, rhubarb is often used at that time of the year for a variety of pies, bars, cakes, and sauces, as well as an ingredient in quick breads. Rhubarb bread is an excellent dessert bread for afternoon tea or coffee. 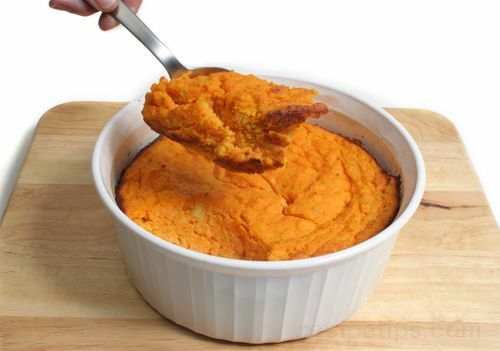 It tastes best when served within a day or two after it is baked, otherwise it may begin to dry out. Description: A popular quick bread, especially in the United States, made with shredded zucchini and a number of other ingredients that provide a sweet flavor and moist texture. There are many variations of zucchini bread and some have a savory flavor rather than a sweet flavor, due to ingredients such as cheese and chopped onions. 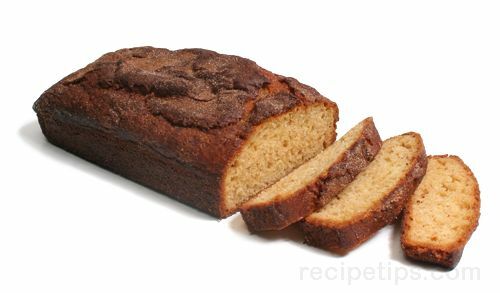 Like many other quick breads, zucchini bread is often served as a dessert bread or breakfast item.